Whether you use your shower to wake up in the morning or wind down at night, the way you take a shower may be more revealing than you know. As the Senior Research & Development Manager for Delta Faucet, Paul Patton conducts frequent surveys and studies to better understand the needs of his customers. Through this research, Patton has observed an intriguing phenomenon: Although people interact with kitchen and lavatory sinks in much the same way, the way we shower differs from person to person. “There is an emotional side to showers that just isn’t there with sinks,” Patton confirms. “A shower is a uniquely personal experience, whether you use the time to wake up in the morning, to wind down in the evening, or simply to get away from it all.” Here, seven telling facts reveal how Americans feel about their showers. 18% of all respondents, male and female, report that their morning shower is more important to them than that first cup of coffee. About 40% of women surveyed agree with the statement, “My shower is my time for focusing just on me,” compared with only 28% of men. Households in lower income brackets are more likely to view the shower as a place to ease stress and escape the worries of the world. For many, a hot shower is an affordable alternative to a pricey massage. When asked about their dream shower, 40% of men would include more room for a significant other; 45% of women would choose ambient music and lighting. Much like they channel surf with the remote control, men are more likely than women to change the spray pattern and adjust the flow of water in the shower. 10% of women say if something interrupts their shower routine, their whole day is out of whack. 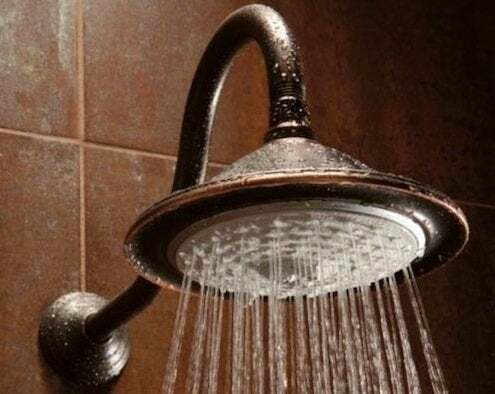 Despite droughts and water restrictions, Americans love their daily showers—something that continually drives Delta Faucet to improve water efficiency in their products. “The question we’re always asking ourselves is, How do we deliver a great shower experience and save water at the same time?” says Patton.